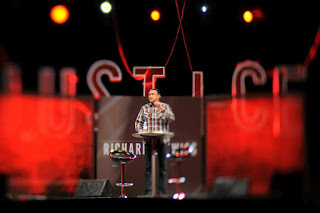 Each speaker at The Justice Conference rocked my world, but there was one in particular that shook me to the core. 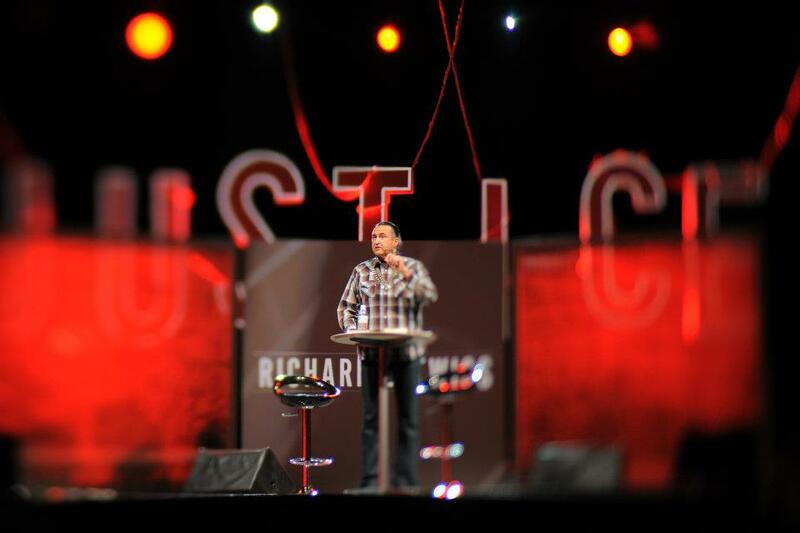 Before the conference, I had never heard the name Richard Twiss. To be honest, when reading the speaker bios, I wasn’t sure I’d be interested in what he had to say. Twiss is a Native American activist and president of Wiconi International, an organization committed to the teachings of Jesus while preserving the heritage of the indigenous community. While I appreciate Native American culture, I’ve never taken an interest in it. My stereotypical image of that society consists of teepees and powwows or the present day devastation and rampant alcoholism in the reservations. I admit, my only awareness comes from social studies lessons my kids share from school. It’s just not on my radar. Twiss began his talk reminding conference attendees of the history belonging to the people that were in this country first. He spoke of the utmost respect the Native Americans had for the land. On Columbus’ first voyage to the West, it is reported that relations with the “Indians” were friendly. They cared for Columbus and sent him on his way back to Europe. Things changed when “the white man” returned. “Those Indians should have had better immigration laws,” Twiss joked. The Europeans invaded, called the natives “demon-worshipers”, wiped out the land to make it “civilized”, and attempted to convert the indigenous Americans to be “Christian” just like them. In 400 years, the Native American population in the U.S. went from 20 million to approximately 200,000; that’s what the “gospel” did. Hmmmm, nothing says “Jesus loves you” like trying to change a culture that’s been in place since the beginning of time. “We suffer from the absence of the perspective of the native people of this land,” Twiss reproached. I thought about my circle of friends. Caucasian, African-American, East Indian, Asian, Latin-American – I don’t think I have any close friends that are Native American. This seems odd seeing as I live in the Pacific Northwest, one of the last developed areas in our country and a region that probably should be dominated by the native people. I do suffer from the absence of the native people. I don’t know anything about them. Present day society has done a bang-up job keeping Native Americans out of sight and out of mind. We “invaders” need to get involved with the host people of our land. But I can’t tell other people what to do. I need to make a change myself. Richard Twiss was my favorite speaker at the conference because I expected to learn nothing, but came away with a hunger to learn everything. I made a commitment to study more about the Native American culture. (This may take a while seeing as there are tons of different tribes with individual heritage.) I want to rectify the injustice. I’m ready to help the fish.